Whether your aging parents may admit it or not, they will need a higher level of assistance with their everyday activities at some point in time. You can opt to volunteer yourself to assist them with their needs. Other family members may also do the same. Another option, which most families choose, is hiring a caregiver or a personal care assistant in Connecticut. With the last option, your parents get the support they need at home while also ensuring that you and other family members get to live your own lives. Experienced and reputable caregivers are experienced in the field so they offer peace of mind to the entire family. 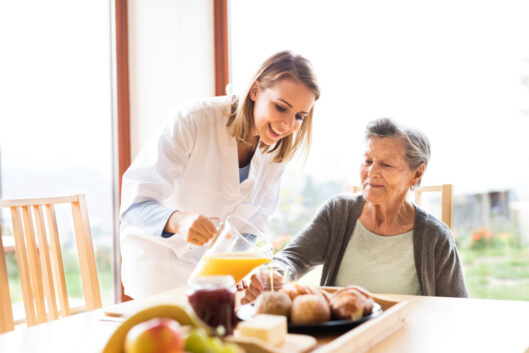 A full-service agency is usually a provider of home care services in West Hartford, Connecticut. They screen their caregivers, give them training, and assign them to their clients. This means that all you have to do is to contact the agency so they can assess your parents’ care needs. They will then send a caregiver who possesses the right qualifications. Caregivers are already pre-screened so you know that they are most likely experienced, licensed, and qualified to care for your loved ones. Caregivers remain in the employ of the agency, meaning, you don’t have to worry about payroll taxes. Caregivers assigned to various clients are monitored by supervisors. The medical costs of caregivers who suffer injuries due to accidents at work are covered by the agency. If you don’t like the performance of the assigned caregiver, you can request for another one from the agency. A registry is different from a full-service agency in the sense that they act as a middleman or some sort of staffing agency. They can refer caregivers to you but they will not directly hire them. You typically have to pay a finder’s fee to engage their service. The registry will only give you a list of referrals. They will not screen, interview, or conduct background checks on the caregivers included in the list. Everything will be up to you. Monitoring the performance of the caregiver will be under your responsibility. You will need to pay the caregiver directly as well as work on their payroll taxes. Caregivers hired from a registry often do not carry insurance. You might have to shoulder the medical costs in case they get injured while providing homemaker services in Connecticut for your parents. Canceling your working relationship with the caregiver for certain reasons will not be easy. Always think thoroughly about your choice. If you decide to go with a full-service agency, At-Home Care Services is ready to heed your call. Get in touch with us today! This entry was posted in Home Care and tagged Caregiver provider, Full-service agency, Registry agency. Bookmark the permalink.